The Knickerbocker is a classic cocktail from the mid-1800s that features rum and raspberries. It's a genuine New York City drink that takes on the nickname of the city's Dutch settlers who wore their pants—knickers—rolled up just below the knee. This is a fantastic summer drink that is absolutely delicious. It has a darker fruit profile than many rum cocktails and a perfect balance of sweetness. 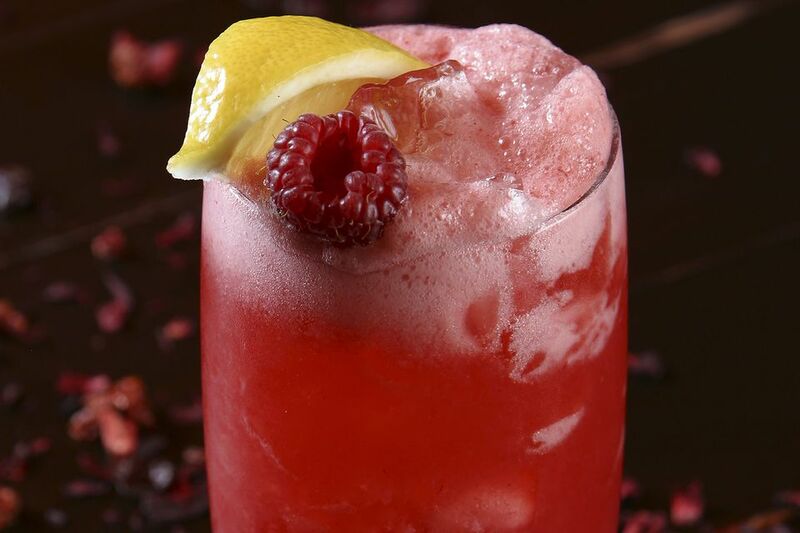 The raspberry syrup is the key to the drink's success. The best Knickerbocker is made with a homemade raspberry syrup using freshly pressed, strained juice. You can also use raspberry syrups from brands like DaVinci, Monin, or Torani or use the liqueur Chambord as a substitute. Traditionally, the drink is served in an old-fashioned glass over crushed ice. It makes a fabulous "martini" as well. Simply shake it and strain it into a chilled cocktail glass. Garnish with a lemon or lime wedge and seasonal berries. Depending on the raspberry syrup you use, you may want to make adjustments to the fruit ingredients to suit your taste. If it's not sweet enough, add more syrup; too sweet, add a bit more citrus juice. The orange liqueur pour is generally pretty small, with some recipes using only 1/2 teaspoon. Originally, the Knickerbocker recipe used Santa Cruz rum from St. Croix. Cocktail historian, David Wondrich, suggests in Esquire that any modern "medium-bodied gold rum" will be a good substitute. The popular white rums of today will make a good drink, but the gold rums will give the drink more depth. The Knickerbocker name has been used to describe some New Yorkers. According to Wondrich, it often refers to those of Dutch descent who enjoy a bit more of a party than the more reserved "Yankees." In 1806, Washington Irving wrote a satirical book about the city's culture during the time under the pen name, Diedrich Knickerbocker. The name has stuck around and been picked up by the New York Knicks as well as a number of establishments in the city, including the five-star Knickerbocker Hotel. The Knickerbocker cocktail recipe appeared in the first bartending guide, Jerry Thomas' 1862 "Bon Vivant's Companion." It is not known who created it or where, though there are many claims to its invention. According to drink expert, Simon Difford of Difford's Guide, there were a number of variations of the Knickerbocker around the turn of the 20th century. Two of those appeared in Harry Craddock's "Savoy Cocktail Book" from 1930. One—the Knicker-bocker special cocktail—added a slice of pineapple and orange to the raspberry rum mix and served it straight up. It's a great drink and one you may want to try for yourself. The other—Knicker-bocker cocktail—is little more than a shaken perfect martini with just a dash of sweet vermouth.